The overwhelming percentage of travelers who stop in the town of Potosi, Bolivia do so just for a few days to take the exhilaratingly authentic tour of the city’s silver mine. 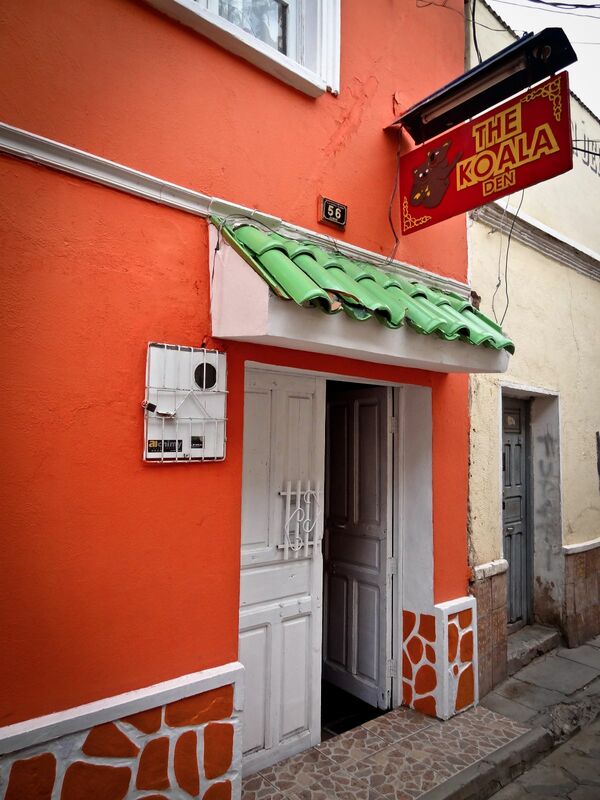 While Koala Den (Potosi) conveniently organizes the tour for its guests, complete with pick-up from the hostel, the rest of our experience there was borderline hellish. 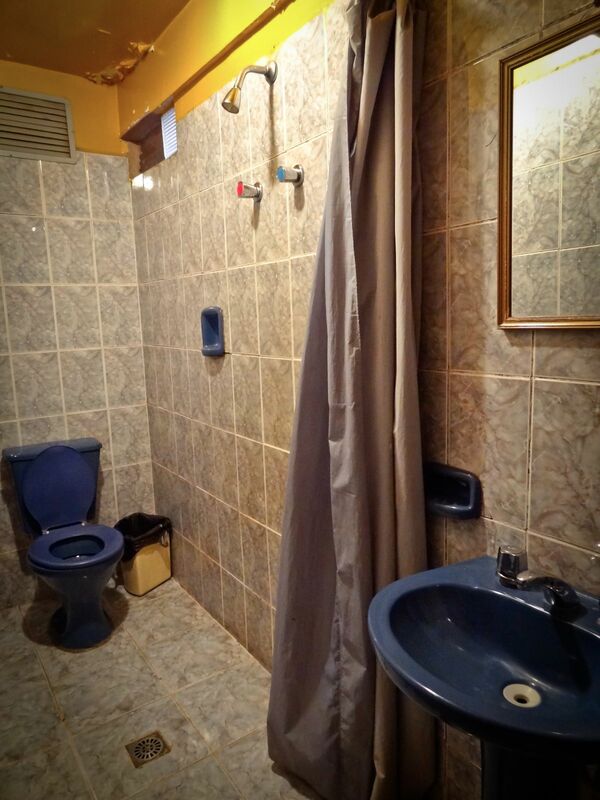 It’s overpriced at 150 Bolivianos per night for a private room with an ensuite bathroom. The room they put us in was dingy and dark and the bathroom had a suffocatingly strong odor of something chemical. We were afraid the toilet was going to explode. It was nauseating and so we asked for another room. They kindly acquiesced. Unfortunately, the next room was the same. Starving, we asked for a restaurant recommendation and they directed us to their affiliated Koala Cafe. We devoured our dinners and headed back for a good night’s sleep (in cozy beds, actually!) before heading out early for our tour. Poor Vic had no visions of sugarplums that night, however. He woke up in the middle of the night with a horrific case of food poisoning and spent the next 18 hours expelling his Koala Cafe burger in the revolting bathroom, surrounded by mold and literally kneeling in shower water while tossing his beans because the shower head is directly above the toilet. I chatted with some fellow travelers who we met in the cafe, and one of them also suffered from food poisoning. The next morning I explained to the staff that we had to reschedule our tour due to Vic’s sickness and they were less than thrilled to accommodate my request. Not very nice. They do have a nice breakfast, however. That’s their one strong point. And the mine tour is FABULOUS. It’s just too bad that Koala Den is one of the only options in town. We’ve stayed in quite a few crappy hostels, but this is the only one I feel compelled to write a negative review about because our experience was so atrocious. From here on out, only the positive! Actually I have. Loved it there.